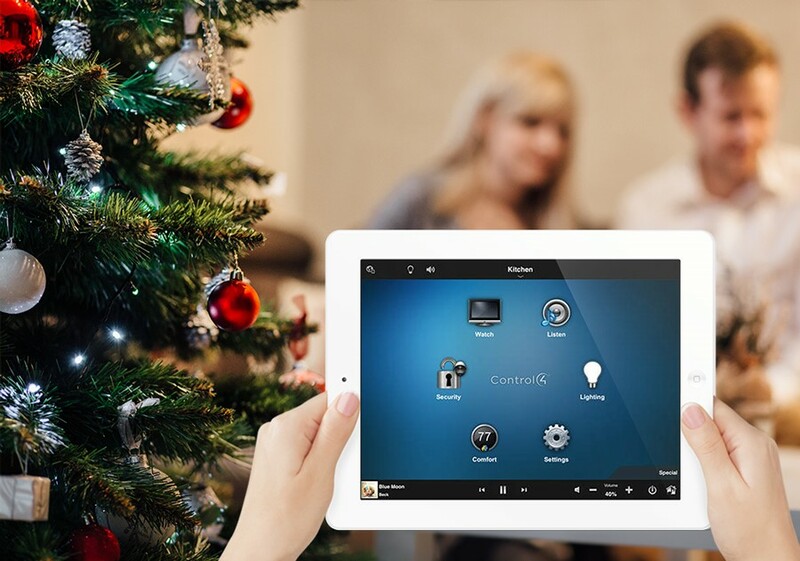 Control4 smart home automation systems bring all of the smart devices throughout your home together. 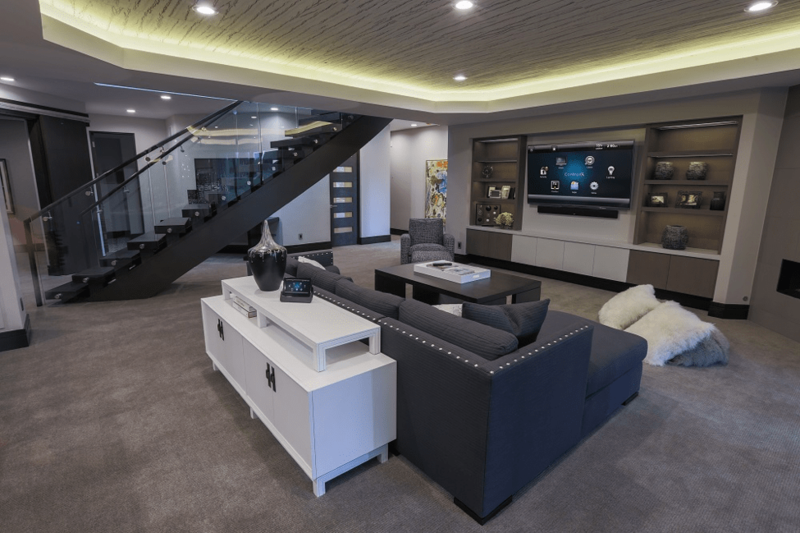 Whether you’re looking to integrate your lighting, security, audio, video, entertainment, or energy systems, Control4 can easily be considered the “operation system” of your home—all managed through your smartphone or tablet. Consider the time, effort, and technology that goes into creating a successful home automation system. Not only does this system require strategic wiring, but it also needs to interface with all technology components in your home to work together as one cohesive system. We build Control4 systems for entire homes—from your basement to your attic and everywhere in between. Once installation is complete, you’ll be able to not only control your system from anywhere, but also manage multiple areas of your home at once. What makes a high-end home theater? You may first think of design—the fabric of the luxury seating, the pattern of carpeting, or perhaps a popcorn machine for the room. But what about incorporating an automation system to simplify your viewing experience? With Control4, your AV experience is streamlined through the ability to control all components through one single remote. Forget the days of having five different remotes for all devices in your room. When we install a Control4 system, we configure everything so that your controller understands how all components are connected. Whether you use your home theater for movies, sporting events, or gaming, you’ll probably want to integrate your experience with other features within the house. Your smart home will “know” when you’re watching something and can respond appropriately. For example, set the lights to dim automatically when you begin to watch a movie, or pause the movie and raise the lights when your system determines someone is at the door. With smart entertainment, your high-end home theater experience works for you. If you’re looking to brighten up your home’s fixtures, smart lighting is the best solution for you. Save money in your energy bills by installing dimmers and integrating your lighting system with motorized shades. Protect your home from theft while you’re away by setting your lights up with timers to make your home look occupied throughout the day and night. Set different scenes such as “night” and “cooking” to have your lighting adapt to all of your activities. Control4 offers everything from basic light switches to a full-house system that controls every light fixture, making home lighting automation a breeze through a remote or voice-activated system. Whatever you’re looking for, Encore Sight and Sound can help make your dreams a reality. Create an unparalleled entertainment setting in any room of your house. Control4 brings performance, power, and reliability to give you the best media experience over a single platform. You can choose to fill every room or just one room with your favorite HD content. Whether you’re watching the latest 4K movies or streaming high-resolution music, Control4 lets you enjoy limitless entertainment in a simple, clutter-free way. Gone are the days when you needed to have streaming devices in every room for your audio or Blu-ray players attached to every TV. Control4 allows you to consolidate all your audio/video equipment into a designated closet, giving you a clutter-free experience while allowing you to access your media in any room through the Control4 system. Interested in Control4 Home Automation?